No generation before us has had such an obstacle course to navigate to get into the industry. 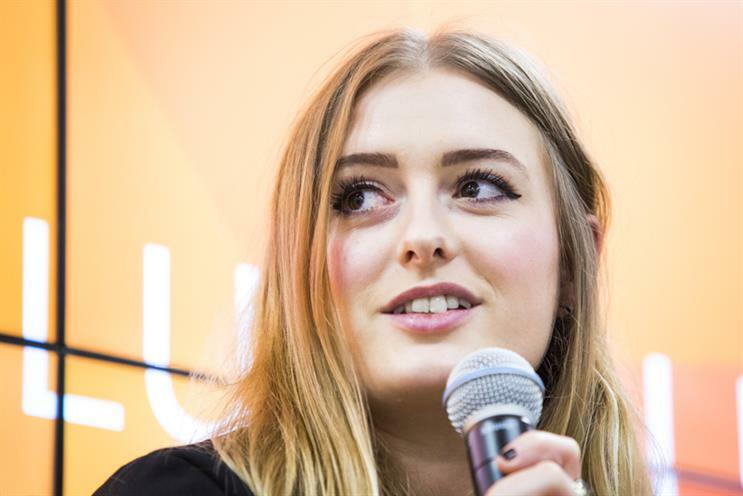 It is time to rise above the "millennial-bashing" and focus on opening the door to the next generation of talent, says the Karmarama designer. When I moved to London just over a year ago I was a ball of nerves with very low self-confidence. I knew I was passionate and hardworking, but I struggled to believe in my capabilities as a young creative. So when NABS asked me to take part in their Tuesday club talk panel discussing creative careers, with Sir John Hegarty and Chaka Sobhani, I experienced the full spectrum of emotions. Shock, surprise and delight to name a few - but mostly confusion. Confusion - because up until that point I hadn’t looked back to see how far I’d come. Being part of the panel made me reflect on just how much I’d changed and how far I’d come in little over a year. Surprisingly, I enjoyed sharing my experiences and, amazingly, people wanted to hear my insights. I truly believe when doors are opened for you, you should hold them open for those behind you. With that in mind, here are my thoughts on how to survive your first year in the creative industry, for those about to enter it themselves. When you first leave University, it’s easy to feel lost amongst the thousands of creative graduates. This is especially poignant in a generation obsessed with mirror culture where everyone’s portfolios tend to look similar, because students are chasing the same trends and reading the same blogs. You don’t need to be the most flamboyant personality or have the slickest portfolio in order to stand out. Utilising your idiosyncrasies helps you stand out. No one else has your exact blend of tastes and interests, so forget the culture of portfolio one-upmanship and create work that speaks volumes about who you are and what you care about - even if it makes you feel vulnerable. In fact, especially if it makes you feel vulnerable. Having good mentors in the early years of your creative career is beneficial to both your wellbeing and progression. I’m very lucky and grateful to my mentors, past and present, who have helped me along the way. Mentors help you find your values. When you’re fresh to the industry, understanding what’s important to you will help steer your career along the right path. When I was offered my first job in London I was faced with a difficult choice which made me hesitant about accepting. In the end we agreed a solution – although it was daunting, the agency completely respected and accepted my choice. There are many organisations in the industry that run events and workshops that are great for meeting mentors: check out NABS, D&AD New Blood and Creative Equals for starters. Staying motivated can be hard for everyone, but especially when you’re just starting out. The first rung of any career ladder is usual full of ‘grunt work’ tasks which is a reasonable expectation. However, whoever originally said "only boring people get bored" clearly never had to spend two solid weeks image searching for a banner ad about home insurance. Being a creative isn’t a 9–5 job or a tap you turn off. It’s your responsibility to stay inspired and excited about what you do; it’s up to you to find creative ways to do that. Personally I find watching "The Power of Ten" film by Charles and Ray Eames very useful for a daily reminder of the grand scheme of things. Despite what the "millennial-bashing" tabloid articles may say, it’s not unreasonable to be bitter about the card our generation has been dealt. No generation before us has had such an obstacle course to navigate to get into the industry - from astronomical university fees to the extremely high levels of competition, (not to mention the nightmare that is moving to London). It’s definitely not easy and there are a lot of things to be pissed off about. The bad news is there’s very little we can do about a lot of it right now. The good news is that, despite everything, there has never been a more exciting time to be joining the creative industry. We live in a world that’s more connected than ever, allowing us to work for anyone, from anywhere. This opens up endless possibilities for cross-global collaboration that wouldn’t have been possible twenty or so years ago. Social media (for all its sins) means brands are held accountable by their global audiences, forcing them to adapt and evolve as the social climate changes. At long last there are real conversations being had about diversity and inclusion in the creative industry - conversations that are driving change and opening doors for women, BAME and diverse communities. There’s so much to be positive about, and keeping positive will help carry you through. With great mentors, a good mind-set and a lot of motivation you’ll smash your first year and beyond.